February 1, 2019 – The legislative session in Hartford has just gotten started and already there is a public hearing scheduled for a bill that is crucial to conservation in Connecticut. The best way to protect habitats for birds and other wildlife is to preserve land in perpetuity. This bill will help raise funding to do that in your town. This is a local, home rule decision. The bill takes effect only if your local town board passes it. If a town thinks it needs more money to buy and preserve land, this is a way to get that money. We think it’s a good way to empower local communities to do something good for the state’s birds and for the environment in general, which of course is what we exist for. But the funds raised can also be spent to clean up old, disused sites that can then be used for affordable housing or other economic development, and for other environmental projects. Please take action! Testify at the Environment Committee’s public hearing and submit written testimony in favor of House Bill 5254, An Act Establishing a Pilot Program Authorizing Municipalities to Impose a Buyer’s Conveyance Fee on Real Property to Fund the Purchase and Stewardship of Open Space. HB 5254 would create a pilot program to allow municipalities to establish up to a 1% buyer’s conveyance fee on real estate sales greater than $150,000 to buy local open space, forests and farmlands; clean up the abandoned or under-used sites known as brownfields (which can help keep more pristine lands from being built on); or other environmental projects. The bill would give Connecticut’s cities and towns a sustainable funding source for the conservation and stewardship efforts that they think are most important. 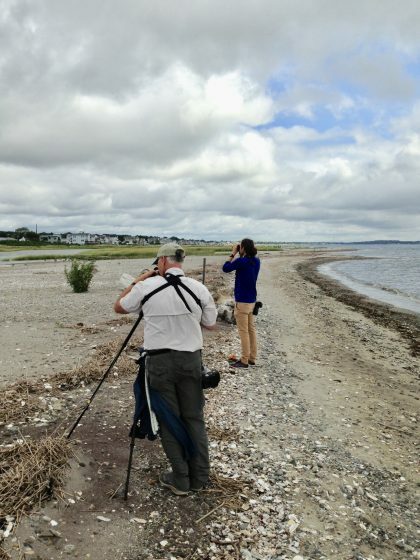 The Connecticut Audubon Society is joining with other conservation groups in the state to urge passage. Executive Director Patrick Comins will be testifying before the Environment Committee on Monday and submitting written testimony as well. We ask you to do the same! The Connecticut Land Conservation Council has put together sample testimony. Connecticut Audubon submitted testimony last year in favor of an earlier version of the bill (click here). Feel free to use both as a model for your own testimony. Include “Environment Committee Testimony,” “HB 5254,” and “2/4” in subject line. Sign-up for the hearing will start at 9:30 a.m. in the First Floor Atrium.